In 1943, Mark Rothko, with his friend the painter Adolph Gottlieb, wrote several philosophical statements that would continue to guide their art for years to come. The two painters wrote, "We favor the simple expression of the complex thought. We are for the large shape because it has the impact of the unequivocal. We wish to reassert the picture plane. We are for flat forms because they destroy illusion and reveal truth." 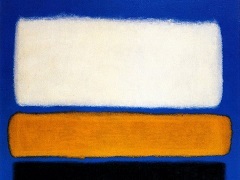 In 1957 Rothko abandoned the bright color palette that had come to characterize much of his work. With some exceptions, for the remainder of his career he painted with shadowy, nocturnal hues such as the layers of rich purples, maroons, and browns that create a sense of atmospheric depth in No. 16 (Red, Brown, and Black). Rothko once said to a friend, "Often, towards nightfall, there's a feeling in the air of mystery, threat, frustration - all of these at once. I would like my paintings to have the quality of such moments." The scale and surface of this painting reflect these ideas. Rothko abandoned traditional Renaissance three-point perspective, which conceives of the canvas as a window onto another world. (The Last Supper by Leonardo da Vinci is a perfect example). Multiple glazes of dark pigments of varying opacity make the picture's surface feel flat, yet it quivers and vibrates, offering a sense of atmospheric depth. 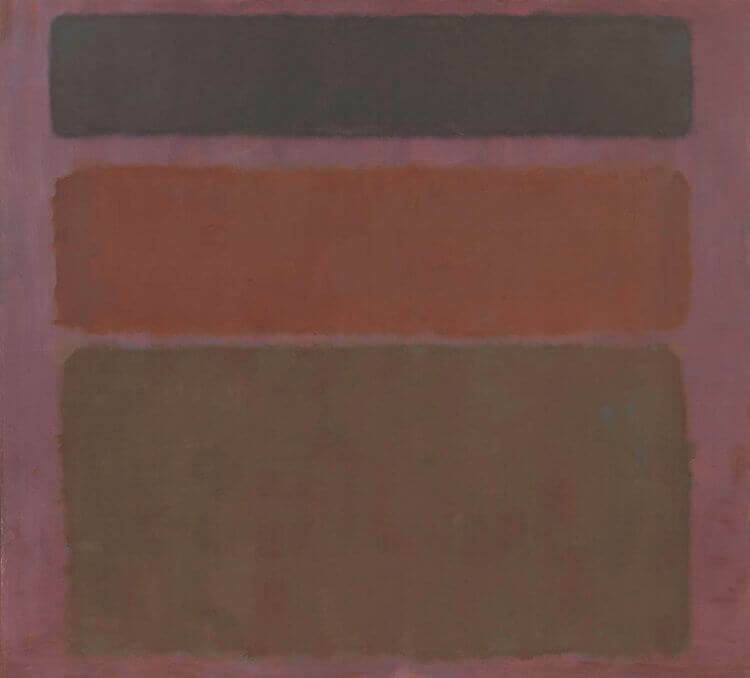 Rothko hoped that these compositional strategies would invite visual and emotional contemplation on the part of the viewer, creating the conditions for silence and reflection.